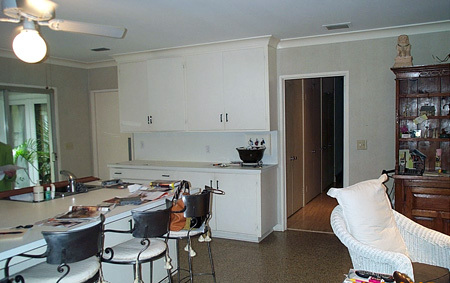 Kitchen remodeling in circa 1960 house located in Mobile, Alabama. 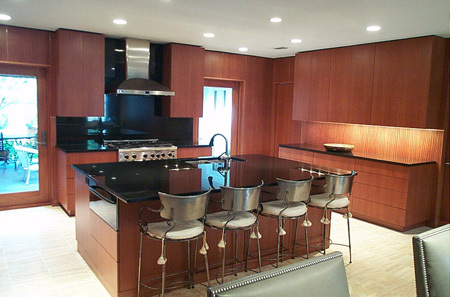 Kitchen design by Lucy Barr. 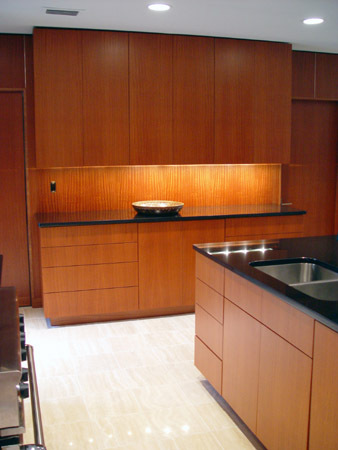 Materials: Sapele, Beeswing; Italian Salice concealed hardware and touch mechanisms; black granite; stainless steel appliances. 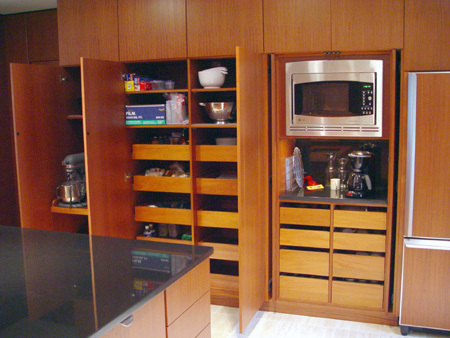 Large, roomy pull-out shelves and a microwave / coffee area are concealed behind pocket doors that, when closed, continue Residential custom cabinetry the clean panelized look of the room. When Quality and Service are what matters most..